The Camera or the Lens? ImagePrint is well known for its vast library of high quality printer profiles. In fact, often users seem to think that the profiles are the software, or at least the most important part. In the following article, I’d like to correct that perception and show that Imageprint is not just a layout package with great profiles thrown in, but is instead the core component that makes those incredible profiles possible. ImagePrint has a lot of tools. In fact, it has so many tools that unless you’ve read the manual cover to cover (and who wants to do that?) there may be a few you haven’t heard about. We’ll use this feature to occassionally point out some of the ones you may not be aware of. We like to think that ImagePrint’s layout area is the easiest way to position and size images for printing that’s yet been invented. But, while most users prefer to use its powerful layout tools, there are some cases where it may be convenient to print directly from applications without having to save images first and reopen them. Also, if you use an application that doesn’t save JPEG, TIFF or PSD files, it may be impossible to create a file that can be opened right into ImagePrint–at least without first opening and then resaving it in the right format from Photoshop. This is where PTA comes in. PTA allows you to print right from a Windows or Macintosh application such as Photoshop or Lightroom. You can choose to send the job right into ImagePrint’s spooler (utilizing ImagePrint’s normal color management and printing features), or you can opt to export the layout right into ImagePrint prior to printing. Printing through Applications does require that the PTA option be enabled at an additional cost of $200.00. That’s per dongle, not per printer license, so you just need to purchase the PTA option once if you have multiple printers on the same computer. You will need a new ImagePrint encryption to unlock the feature, and it does require some extra installation steps beyond the normal ImagePrint setup. Printing directly from applications can be very convenient but there are some key differences between printing with PTA and printing directly from ImagePrint. First and foremost, you lose the ability to utilize ImagePrint’s powerful layout features. (Although of course ImagePrint is still always available at any time.) Since you’re not using the Imageprint interface, our softproofing is not in effect, and features like step-and-repeat and templates will not be available. Also, printing multi-page spreads may not work as expected. Because of these limitations, PTA printing is not for everybody–we usually recommend it for workflows that utilize simple, single image layouts. But, if you regularly have the need to just open an image and click print, and would like to avoid the extra steps of saving and placing the image in ImagePrint first, PTA may be a great way to get the same printing quality you’re used to in a few less steps. For more info on PTA, check out chapter 15 of the PDF ImagePrint Users Manual (you can access it from ImagePrint’s Help menu). To order a PTA license, just contact our sales dept. at 813 963-0241. Now that we’ve taken a look at Fine Art and RC papers, let’s move to a paper type that in some ways can be considered a hybrid of the two. Baryta. These papers offer the weight and feel of fine art stock while enjoying the color gamut and density of RC photo prints. Just like RC papers Baryta inkjet papers come to us from their traditional photo paper counterpart. The word Baryta comes from barite, also known as Barium Sulfate (BaSO4). Barites are minerals found in nature and used in the production of things such as linoleum, oilcloth, paper, textiles, rubber and plastics. (Drilling fluids consume 85% of the total barites consumption). In paper-making the material is used as a coating: A highly refined barite powder is applied to the paper board to improve whiteness and coverage. Paper manufacturers sometimes add tints to the barite coating to alter the final tone of the print but more frequently it is used with optical brighteners to increase the whiteness of the media and extend its tonal range. 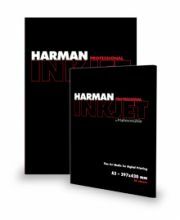 In the traditional (non-inkjet) photographic paper market, Fiber-based papers are synonymous with Baryta papers, and these papers are still the papers of choice for medium and high-end print exhibition purposes. In the inkjet media marketplace we also see both “Fiber-based” and “Baryta” used on labels but in this case you should not assume those terms are interchangeable. For example, I have seen 100% alpha-cellulose media labeled as “Fiber” that contain no barites at all. (Strictly speaking, any cotton rag or alpha cellulose paper is a fiber paper–ie, not RC). So be careful—while it is safe to say that all Baryta papers will be fiber-based, not all fiber-based papers contain barites. So just what is the significance of these berite coated papers anyway? Well, it comes down to look and feel. Baryta papers, since they are fiber paper based, are heavier and more textured than RC papers while managing to duplicate much of that paper type’s biggest strength: density. Photographers often need a paper of considerable weight and thickness for that “Fine Art feel” but want to avoid the density and color gamut limits of fine art papers. Since Baryta papers are used with Photo Black ink they have a maximum density well above what one can achieve with a matte paper. This is especially important when printing in black and white — that extra density is vital to fully realize the detail in the shadows without losing the overall D-Max. Baryta papers are available from many different manufactures and each has its own unique feel and texture (though all Baryta papers will have some amount of sheen). Some Barytas are designed to be extremely bright while others have a more natural or even warm tone. As usual, it’s a good idea to get some sample packs and see which one fits your needs the best, but with their great density capabilities and solid, art-paper feel, most print makers will want to have a Baryta paper or two in their mix. If you haven’t had the opportunity to print on one of these papers yet, do yourself a favor and try some. I think you will love it! …ImagePrint offers multiple ways to open images? Sometimes it’s easy to fall into a particular routine just because that’s the method you learned first, and even something as basic as how images are opened may not be the most efficient for a particular workflow. ImagePrint offers at least four ways to open images–its a good idea to be aware of them so you can use the method that makes the most sense for you. The File Browser (chosen from ImagePrint’s View menu) allows you to see images as thumbnails before opening them. Simply navigate to your image folders via the browser’s left side to see the folder’s contents on the right. Click an image’s thumbnail to see more information about it (file size, dimensions and color space) and drag the thumbnail into the ImagePrint layout area to open it. 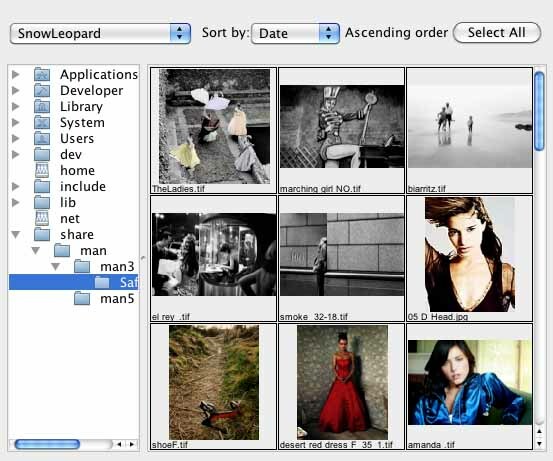 (To select multiple images, hold down control (Windows) or command (Mac) while clicking). Since it can take time to build thumbnails, the File Browser is probably best for local (non-networked) folders that contain less than a hundred images. File/Open You can also open images into ImagePrint the old fashioned way–simply choose Open from the File menu and navigate to the image(s) via a standard file choice window. This method is great if you don’t care about viewing thumbnails of all your images and just need to open an image quickly, or if your images are located on a networked folder or one containing hundreds of images. Just drag it Another way to open images is simply to drag them from their Mac Finder folder or Windows Explorer folder right into the ImagePrint layout. Recently used files The last 5 images you opened are stored under your File menu, allowing you to easily re-open them with one click. Super secret bonus method: If you have Adobe’s file management application, Bridge, you may want to give it a try with ImagePrint. Though not officially supported, most people have no problems dragging images straight from Bridge right into the ImagePrint layout. 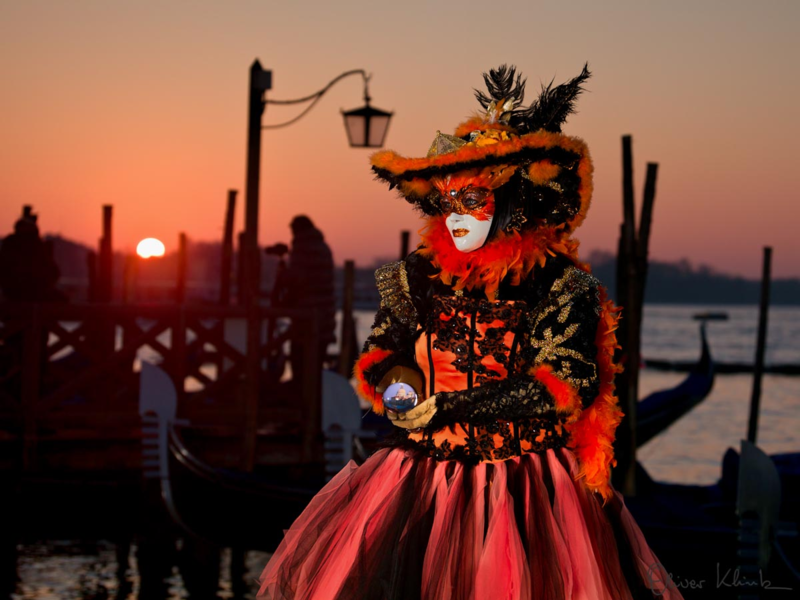 Join industry leading photographer Oliver Klink as he travels the world to capture Incredible Travel Photos. With a focus on rendering wildlife behavior and grand vistas, Oliver’s work stands out from other wildlife and nature photography you’ve likely seen in its ability to stir the emotions of the viewer in powerful, unexpected ways.